Central in France, in the extreme northwest of the Massif Central, is the department of the Creuse. Together with the Corrèze and Haute Vienne the Creuse is part of the Limousin. 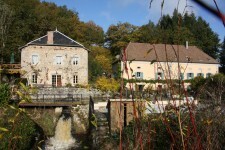 The department owes its name to the river Creuse which crosses the area. The western and also flattest part of the region has been an important source of inspiration for impressionist painters such as Monet. Creuse is famous for the tradition of weaving tapestries, a 600 years old tradition, mainly in the town of Aubusson. The Creuse contains many castles, ruins and churches from the Middle Ages. The Creuse has no refined gastronomy and the traditional meals are mainly highly nutritious. Think of potato pie or cheese fondue. A specialty is the Creusois, a cake with butter and nuts. The region is also known for the Limousiner cattle. The Creuse has a varied landscape of rolling hills, moorland and vast (pine) forests. In the southern part of Creuse finds plateaus such as the plateau of Millevaches Monedières that also extends across the adjacent department of Corrèze. The highest point is 932m. Creuse is also very rich in rivers, including the eponymous Creuse, streams and lakes. Popular places in the region are Aubusson, Bourganeuf, Evaux les Bains, Gueret and La Souterraine. The region focuses on small-scale tourism; mass tourism is therefore hard to find. Nevertheless there are plenty activities to do especially in the spring and summer. Think of the many brocantes, (street)theater festivals, exhibitions and music performances held during this period. During pregnancy of my oldest son my husband Rob and I made plans to emigrate. We had a nice life in the Netherlands and we both had a good and steady job. Rob in refrigeration and I myself worked as a communications consultant and journalist. We lived nearby Utrecht, in the busy center of the Netherlands, and we found it simply too full and busy. We longed for more space and nature around us, another, simpler way of life with more freedom. We decided to continue our life in France. A well known country for me as I spend many holidays in France during my childhood, I studied French during two years and had summer jobs in France as a student. For two years we searched for our French dream home, in different areas. Eventually we found our place in the Creuse. In the southeast, on the border with the Puy de Dome (Auvergne) we came to see an old farmhouse in the spring of 2011 with several outbuildings and a few acres of land, a place that made our hearts beat faster and where we could realize our plans. 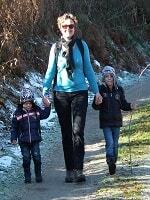 Since March 2012 we live here with our sons Viggo (5) and Manu (2,5). Although it was not easy for the oldest in the beginning to find his way in the French school, he has now integrated. Rob has started a company in electricity, plumbing and refrigeration. Now that our youngest son goes to school, I have started as a freelance journalist/copywriter for Dutch media. But I missed local contacts and wanted more dynamics in my life. Working now as agent commercial for LEGGETT these needs are fully satisfied. I have extend my network enormously, speak with many different people from different countries, learn a lot about French society and take advantage of my language skills. I like to help other people find their dream home, so if you are also looking for another life, a quieter life in a beautiful area, please feel free to contact me and maybe I can help you to find a new place. 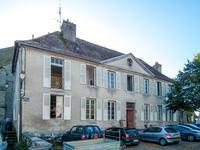 This beautiful maison bourgeoise is in good condition and immediately habitable. Iht has been . . . Exceptional property! This ensemble of two houses has a huge potential. One house is . . . This spacious, authentic house is very beautifully situated, on the outskirts of a quiet . . . This traditional villa is fully and tastefully renovated and is very nicely situated in a . . . 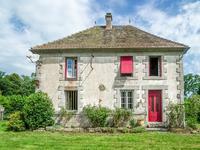 This beautifully renovated, authentic farmhouse with three bedrooms, a large dormitory, two . . . This magnificent property is a beautiful, to loft house converted barn and an adjacent 3 . . . This beautifully renovated house with six bedrooms is immediately habitable and is situated . . .
Great opportunity! This is a unique property with many possibilities. A group of former farm . . . This spacious and authentic property is immediately habitable and has a separate guest . . . Situated in Creuse and known as the "lake district of France" where peace and tranquility are . . . This authentic property has been renovated and is immediately habitable. The large barn next . . . This authentic semi-detached farmhouse with two barns on either side of the house has been . . . 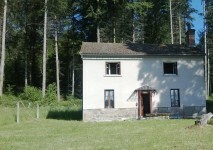 This attractive property on the outskirts of Felletin is in good condition and immediately . . . 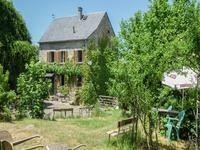 This charming authentic house has an attractive extension to the terrace and a huge barn ( . . . 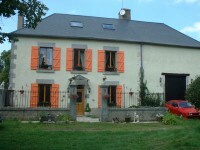 This spacious house on the edge of the pleasant market town of Auzances has four bedrooms and . . . This remarkable house is built in a large hangar. The house has 5 bedrooms and 2 bathrooms . . . 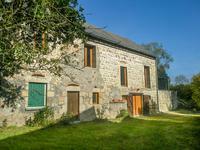 This nice natural stone house is fully renovated and immediately habitable. The house is . . . This charming semi-detached house has been completely renovated and is immediately habitable. . . . This charming and spacious house is in good condition and immediately habitable. There are . . . 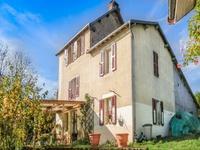 This beautiful maison bourgeoise can be found in the heart of the cozy town of Felletin with . . . This property has 2 bedrooms and 2 bathrooms and 115 m2 living space. Adjoining the house is . . . This beautiful character house with four bedrooms is immediately habitable. Next to the house . . . This charming two bedroom home is on the edge of a hamlet just two kilometers from a village . . . 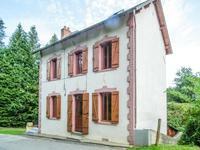 This nice cottage is fully renovated and directly habitable. The adjacent barn can be . . . 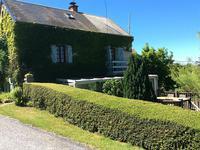 Attractive house with land on an elevated position with lovely views, idyllic and very quiet location. A lovely forest is just a few strides away. This property is set just on the edge of a small hamlet deep in the middle of the Creusoise . . . This charming, spacious house has four bedrooms and the attic offers possibilities for . . . This charming house has been completely renovated and is immediately habitable. It will be . . . This beautiful stone house with approximately 125 m2 of living space already has a new roof, . . . This nice, spacious house with 120 m2 living space and big garden (total plot is 2060 m2) is . . . This lovely semi-detached house has 90 m2 of living space and has three bedrooms. It has been . . . This nice house with 2 bedrooms has been completely renovated and is immediately habitable. . . . This attractive house with 3 bedrooms and garden is immediately habitable, although it needs . . . This charming Creusoise style house has 3 bedrooms and is immediately habitable. It is . . . Very interesting property! This spacious property has three self-contained, habitable . . . This nice 3 bedroom cottage with authentic elements such as the beautiful stone fireplace in . . . 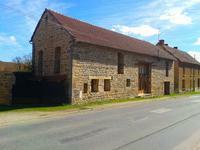 This beautiful barn to convert (approx 6.7 x 15 m) is located in a quiet hamlet about 5 km . . . This spacious house with approximately 120 m2 of living space needs to be completely . . . 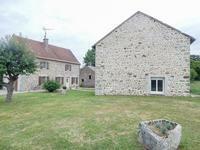 This nice stone farmhouse is a complete renovation project including the roof. The house . . . 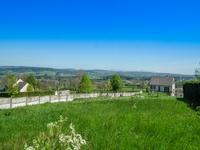 This building land (755) m2 has a fantastic location on the edge of a nice village with a . . .